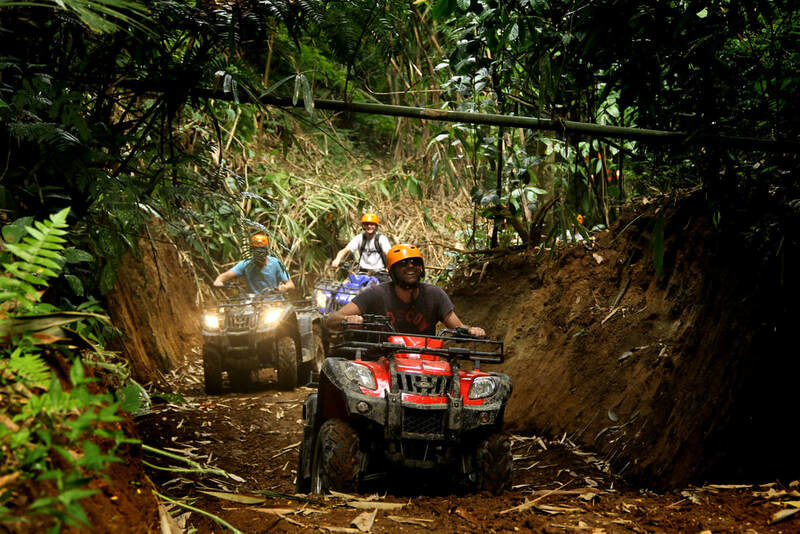 ​Bali Cycling, ATV Ride and Spa Tour is an Bali Triple Activities Tour Packages we created to enjoy the downhill kintamani cycling tour, enjoy riding ATV bike and then enjoy 2 hours spa treatments packages. The adventure begin upon heading to start point of the downhill kintamani cycling tour, in here you will enjoy the light breakfast and see the fascinating view of mount batur volcano and the start to paddle your bike through the downhill street, during the cycling you will see amazing view and daily social activities life. Cycling finish and enjoy the lunch with Indonesian food, after lunch the triple activities well continue to enjoy to ride the ATV bike to explore the local village has to offer from the amazing view of rice paddy and see how Balinese people life in local village. After the ATV journey finish we will continue this packages to enjoy the spa treatments packages to remove all your stressful, tired and exhausted after do some adventure. This Bali Cycling, ATV Ride and Spa tour packages more enjoyable with clean, comfortable and good A/C private car along with the excellent English Speaking Bali Tour Driver during the day.